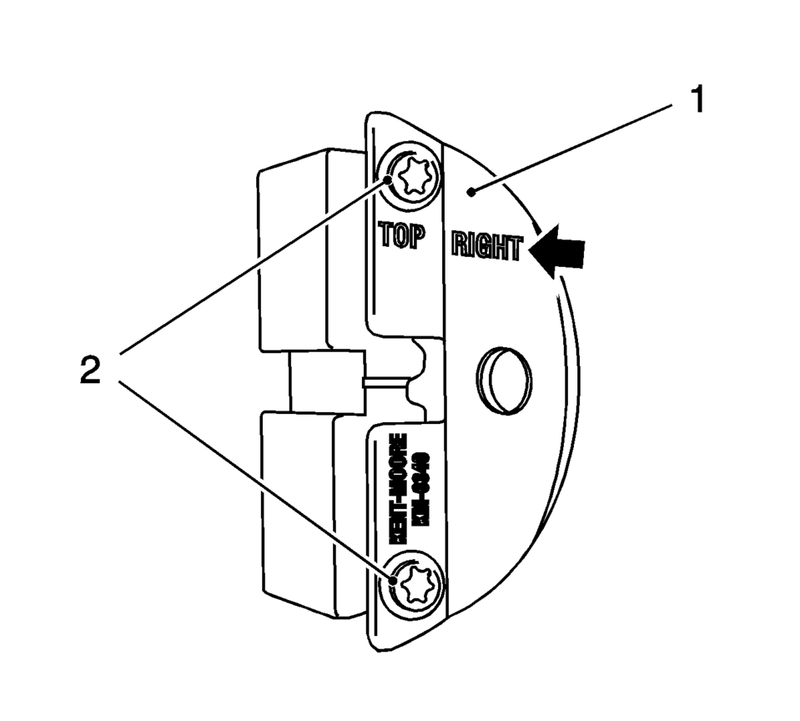 The right half of the EN-6340 locking tool can be recognized by the lettering "right", arrow, on the tool. Prepare the right half of the EN-6340 locking tool. Remove the 2 bolts (2). Remove the front panel (1) from the EN-6340 locking tool - right. Install the EN-6340 locking tool into the camshaft adjusters. The spot type marking (4) on the intake camshaft adjuster does not correspond to the groove of EN-6340 locking tool - left during this process but must be somewhat above as shown. 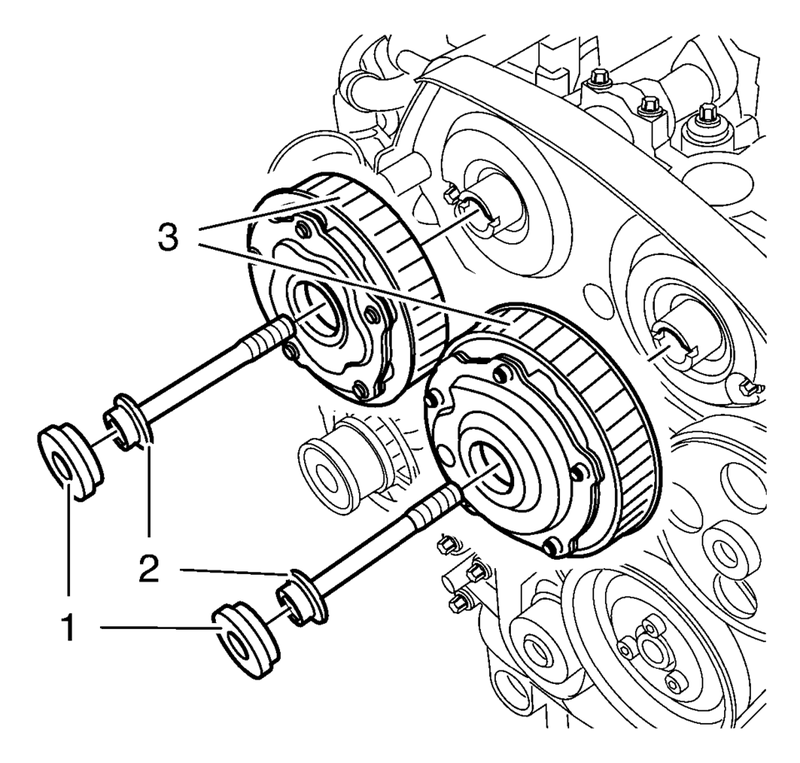 Install the EN-6340 locking tool - left (1) into the camshaft adjusters as shown. The spot type marking (3) on the exhaust camshaft adjuster must correspond to the groove on EN-6340 locking tool - right. 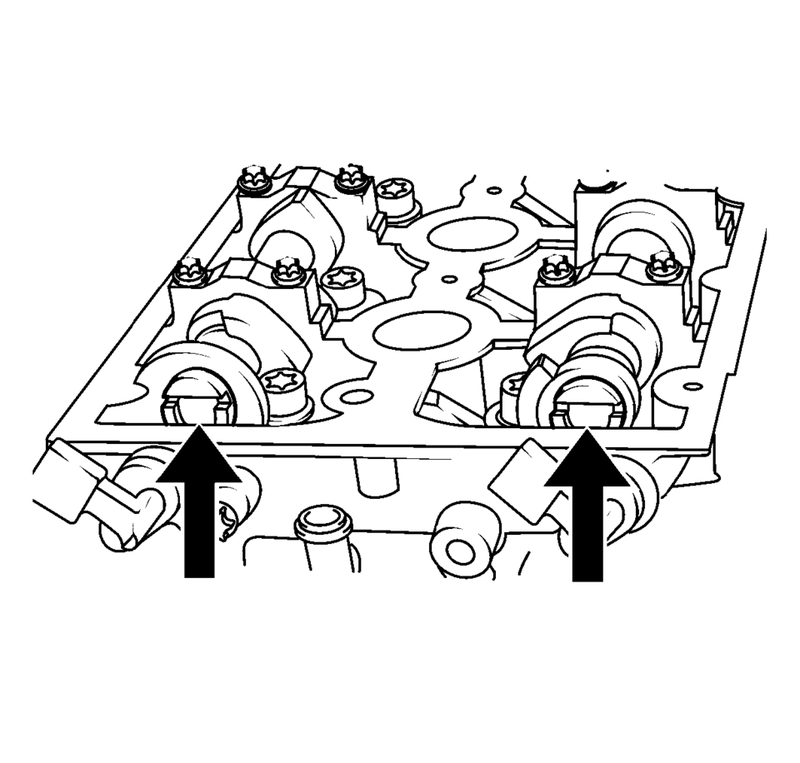 Install EN-6340 locking tool - right (2) into the camshaft adjusters as shown. 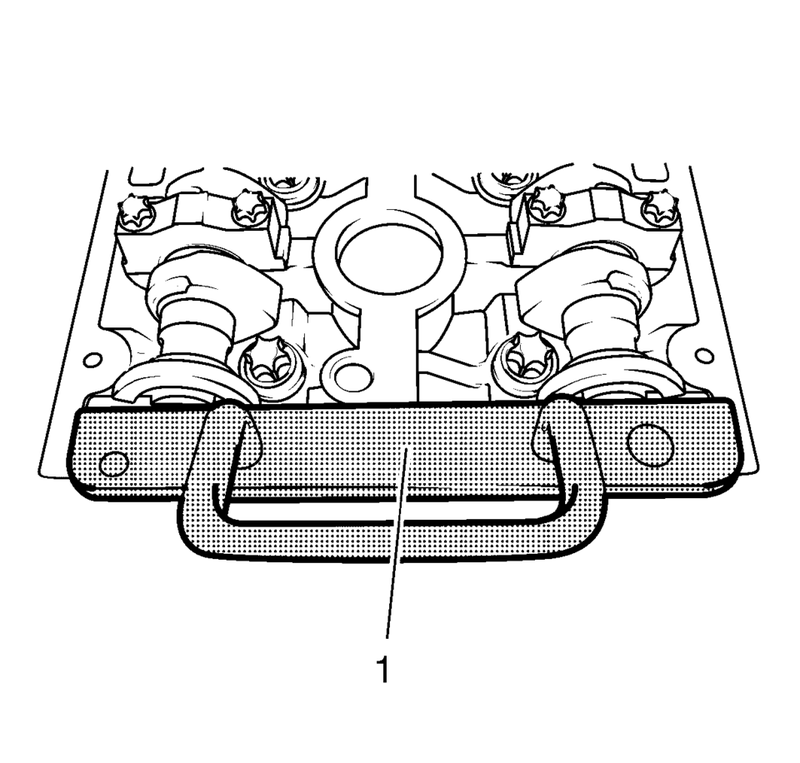 Remove the camshaft position actuator adjuster closure bolt (1) of the intake camshaft position actuator adjuster and/or the exhaust camshaft position actuator adjuster (3). Remove and DISCARD the intake camshaft position actuator adjuster bolt and/or the exhaust camshaft position actuator adjuster bolt (2). 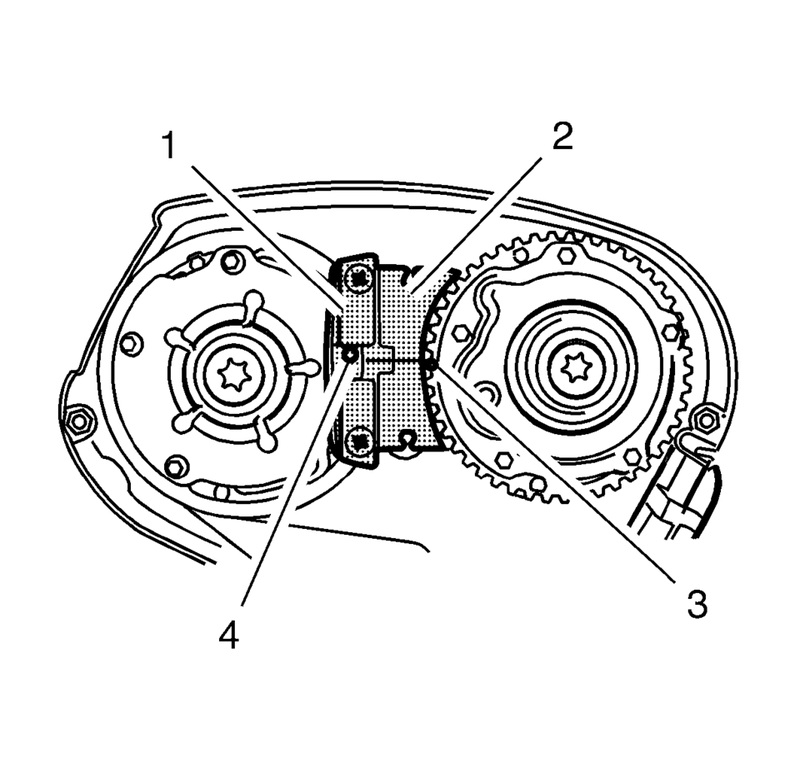 Remove the intake camshaft position actuator adjuster and/or the exhaust camshaft position actuator adjuster (3).